Absolutely no info on this specific disc. While this is probably one of the remixes from 18 April 1969, it seems quite possible that it might be the 25 February 1969 demo take. 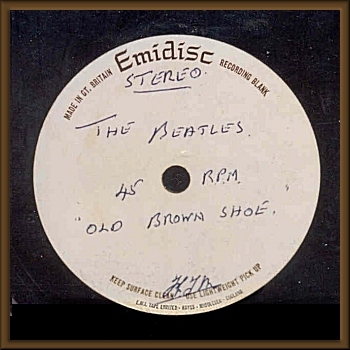 It's very rare to have a Beatles Emidisc after 1968. I have seen only two.